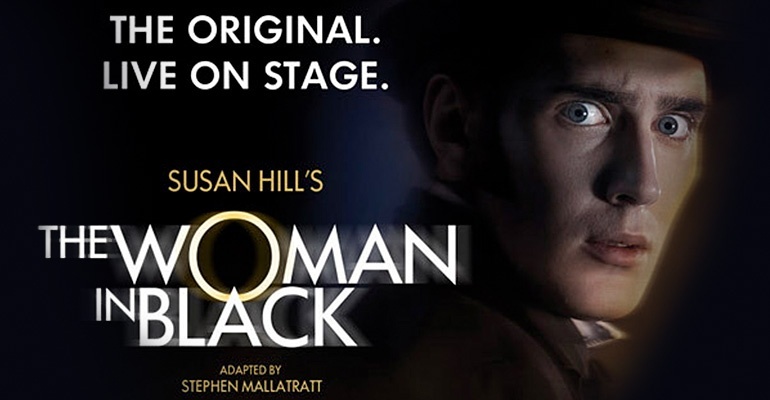 "A VINTAGE THRILLER TO CHERISH"
"casts its delicious spell of malevolence and menace"
The long-running Woman in Black proudly claims to be ‘the most terrifying live theatre experience in the world’ and often has entire audiences screaming with fear. The Victorian ghost story tells the tale of junior solicitor Arthur Kipps, who journeys to the remote Eel Marsh house of in order to wind the late Mrs Alice Drablow’s affairs. At her funeral, Kipps observes an ill-looking young woman dressed in black. His companion’s terrified response to his questions about her leads Kipps to believe something isn’t right in the town. A series of frightening events unfolds as Kipps is alone in Eel Marsh over the next few days. Years later, he attempts to recover from his trauma by telling his spine-chilling story to an actor, and they both play out the events to rid him of his past. But despite his attempts to put the experience behind him, the mysterious woman in black still holds a firm grip on the present. The Woman in Black has frightening themes and is not recommended for those with a nervous disposition. It is suitable for ages 12 and up, and children under 5 are not permitted in the theatre. We went to see the show on our London holiday and thought it was awesome! Broadway shows are so expensive and we were used to the New York prices - we were very happy to pay the top price to see Woman in Black. It was just what we expected it to be. Fantastic performers from the two (or should I say three?) actors and really imaginative scenery too. A wonderful show! I took my two boys to see the show for half term and it really is terrifying! They loved the film but were begging me to take them to the live show. You get so hyped up beforehand that everything makes you leap out of your seat. It's wonderful that something so old fashioned can even scare teenagers; my sons are 14 and 16 and they were petrified. It's so tense that people actually scream! The only issue with the experience was that the seating was cramped, my 16 year old is nearly 6ft and he was really uncomfortable at points. Don't go for any restricted seating, I don't think it's worth the amount that you save. Sit on the ends of the row if you need to stick your legs out. But overall a really fab show, I'd definitely see it again!